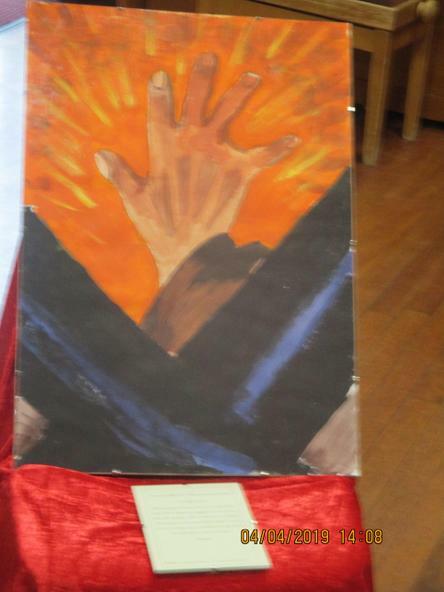 Our Art Leader worked with identified pupils to produce some stunning paintings inspired by the artwork of Sister Mary Stephen . 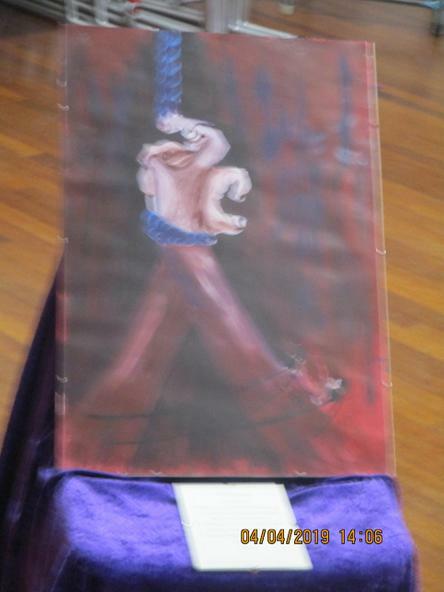 The paintings were used as focal points for prayer and reflection. 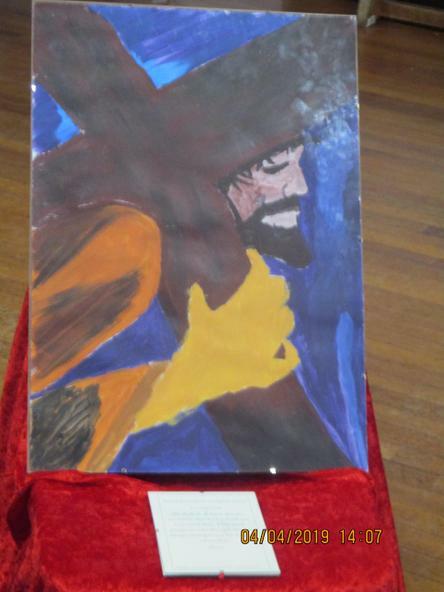 They depicted Jesus' journey from the Last Supper to Easter Sunday. 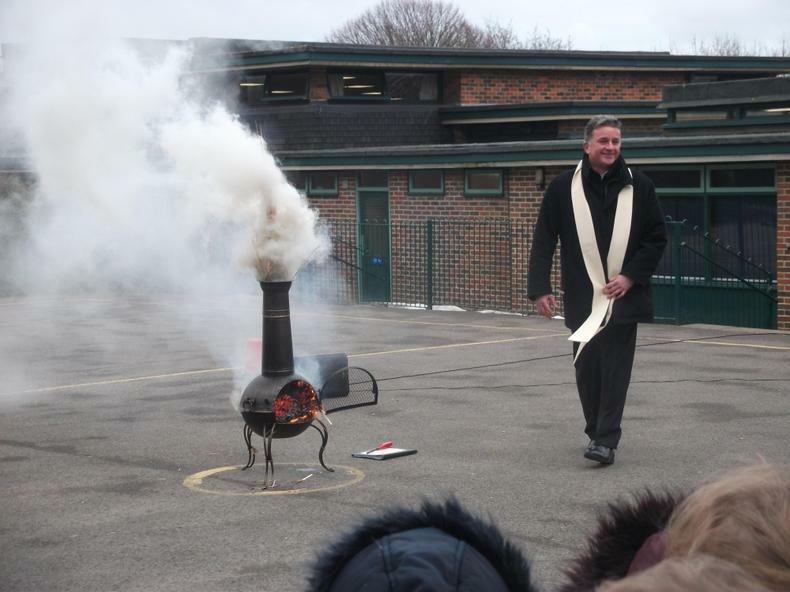 Father John will be leading the school in The Burning of the Ashes liturgy on the afternoon on 5th March on the top playground (weather permitting) and all parents are invited to join us. It is a wonderfully potent symbolic service which prepares the children for tomorrow - Ash Wednesday - when they will be marked on their forehead with the ashes. 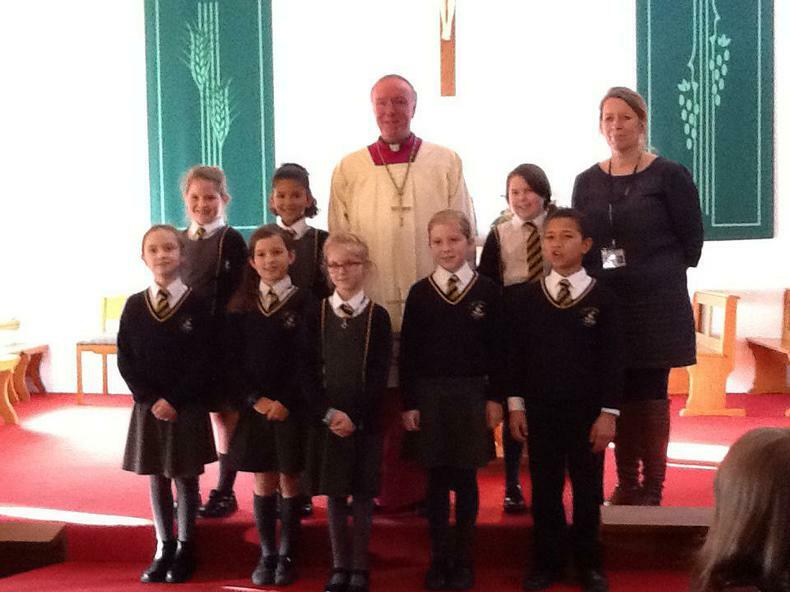 The whole school will be attending mass at St Philip Howard church tomorrow at 9.30am. As part of the children's preparation during the season of Lent, we are giving each child a Lenten Passport which offers some suggestions for prayer and almsgiving throughout the season. You can find a copy below. The children will also be bringing home a template of a cross which they can use to collect 1p, 2p or 5p or a mixture of all three coins. They can stick them on using sellotape or you could use the image below to help your child save the coins in little 'pockets' within the card. Please return the card after the Easter holidays on April 23rd. 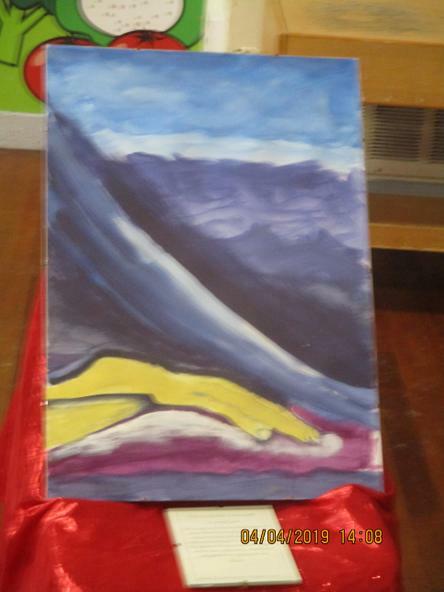 All monies raised will go to CAFOD to help them support needy communities throughout the world. 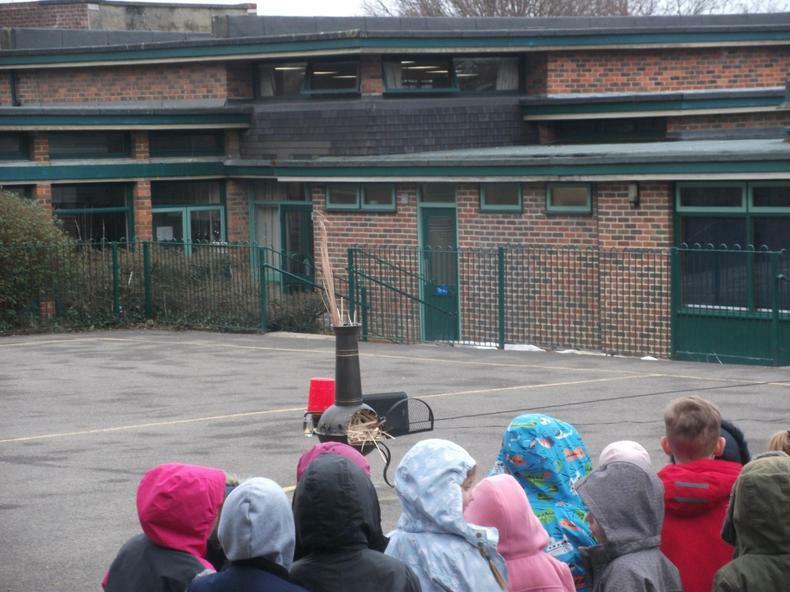 We gathered on the top playground to witness the burning of the palms for Ash Wednesday. Luckily it didn't rain! Father John led us in rousing voice as we sang the hymns during the liturgy. Congratulations to our new Peer Chaplains who attended a training day at St Philip Howard Church today. Along with three other schools from across the diocese, St Jude's has been chosen to be a pilot school for this new initiative. The focus of the team is putting faith into action across the school. The training was led by Sr Judith Russi who explained to the children what their role would involve and how they could implement it across the whole school community. The team worked hard completing a development plan and thinking of new and exciting ideas about how they can involve everyone across the school in this project. The day ended with a short commissioning service led by Bishop Philip and the presentation of certificates. 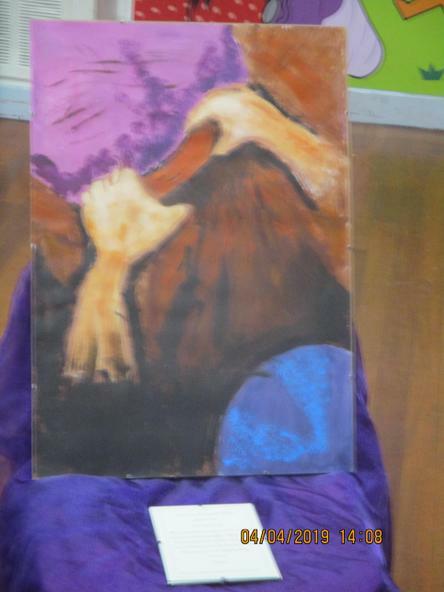 The children are keen to move forward with this project and have already made plans to meet next week. 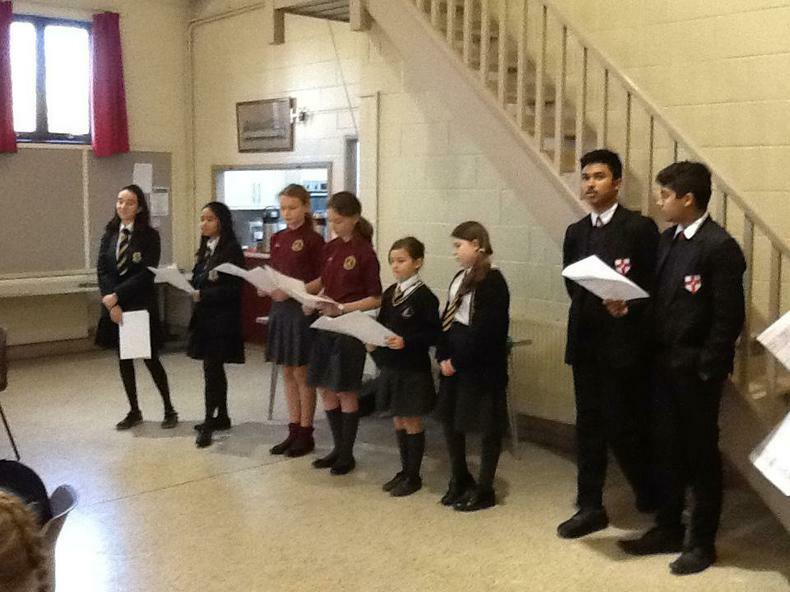 All the children and staff gathered for a minute's silence at 11am on Friday 11th November. 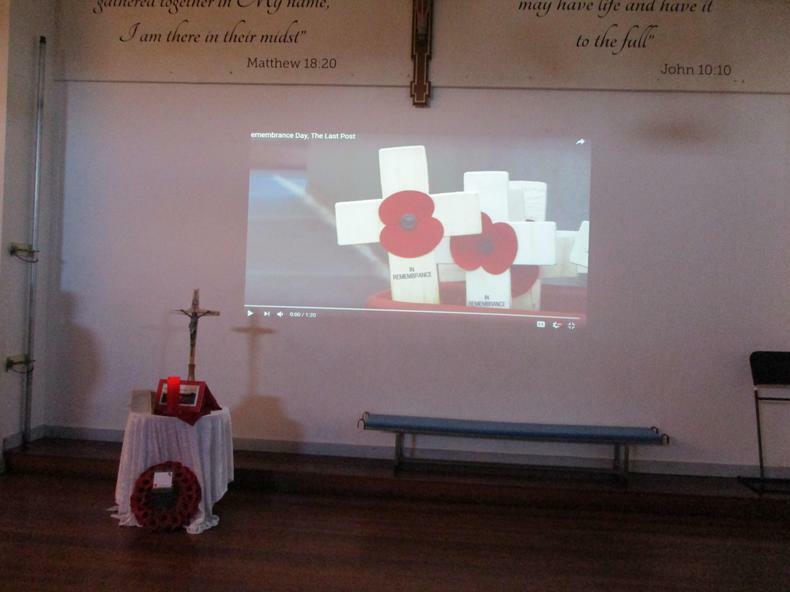 We listened to a reading of In Flanders Fields by John McCrae and ended our short service with The Lord's Prayer. You would have been so proud of the respect shown by your children. In our class prayers we ask these saints to pray for us. The way we will be assessing RE has changed with the introduction of the new diocesan Standards for Primary Education guidelines. The skills to be developed are clearly set out across the phases in school and the key questions for each unit have been identified. You will be able to access our title pages when they have been completed for each unit. The first one is Easter and you can access that below. This half term, all the children will explore other faiths. Reception - exploring family relationships within the context of showing love for one another. Children will learn how Jesus cared for us and how he gave us signs to demonstrate that love and care. Year 1 - Children will be developing their understanding of prayer. 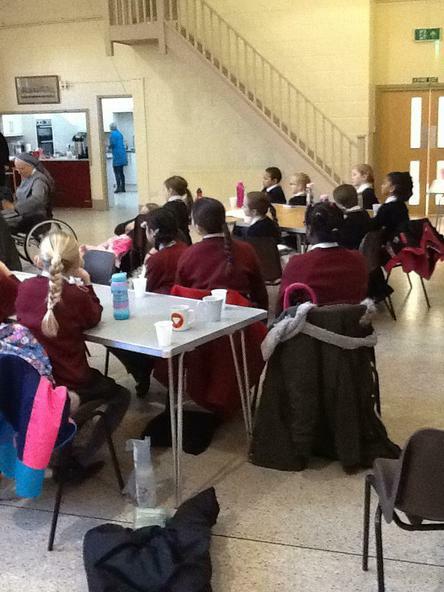 They will be learning about the qualities of saints and they will be learning about different types of prayer. Year 2 - Children will be learning about the stories of saints and retelling them. They will be learn about the qualities of those who follow Jesus. Year 3 - The children will learn about the story of Zacchaeus and they will be exploring how the values and qualities of saints guide their behaviour. 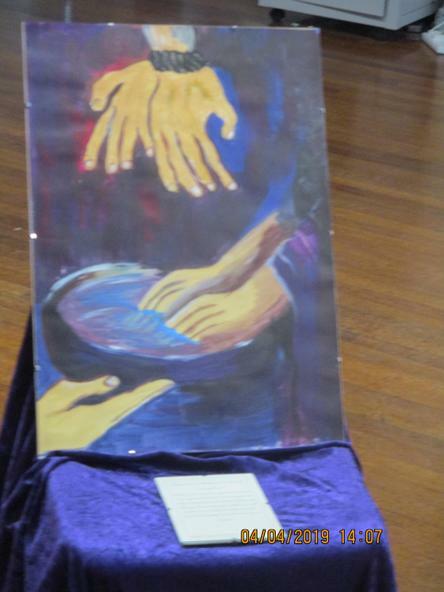 Year 4 - The children will hear about the story of Mary and Martha and learn about the message within it. They will experience the value of silence when praying and they will learn about the joyful, luminous, glorious and sorrowful mysteries. Year 5 - The children will learn traditional prayers of the Catholic faith - exploring St Teresa of Avila's well known prayer. They will explore the act of pilgrimage and what it means to believers and they will learn about symbolism used in the anointing of the sick. 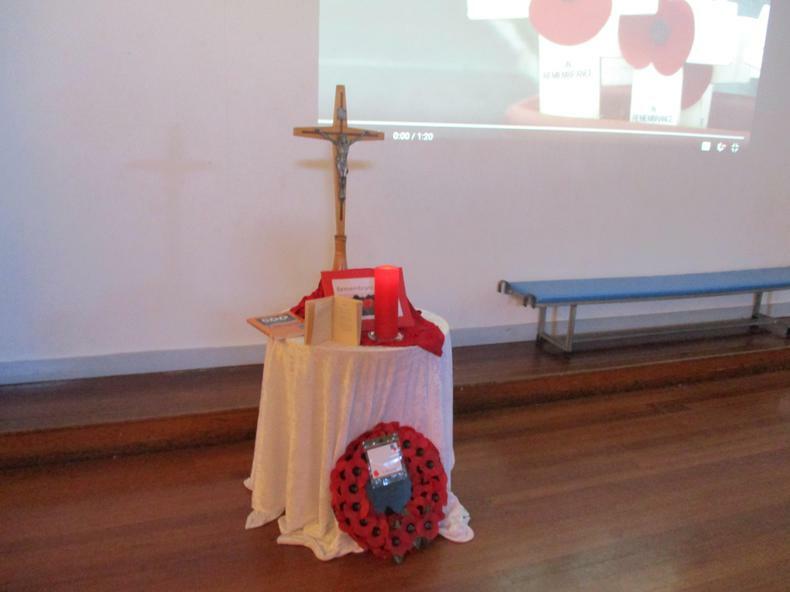 Year 6 - The children will explore the significance of the month of November and praying for those who have died. They will begin to show an understanding of the traditional prayers of the Catholic faith and they will begin to identify how lives of saints influence others. During the Advent season the children will be learning about the importance of preparing themselves to be the best people they can be so that they will be ready for the birth of Jesus. Any child who has taken their First Holy Communion will have the opportunity to receive the sacrament of reconciliation with Father PJ during the Advent Penitential. Reception: the children will learn that Advent is a special time of prayer. Year 1: the children will be exploring how Mary and Joseph got ready for the birth of Jesus and relating that to their own lives and how they prepare for events in their homes. They are reminded that Advent is a period of 4 weeks in which we get ready for Jesus to come again. Year 2: the children will be learning about the signs and symbols of Advent and exploring what characters in the Old Testament said that prepared the world for Jesus' birth. Year 3: the children will be learning about Mary's strong faith in God when she said 'Yes' to the Angel Gabriel during the Annunciation. 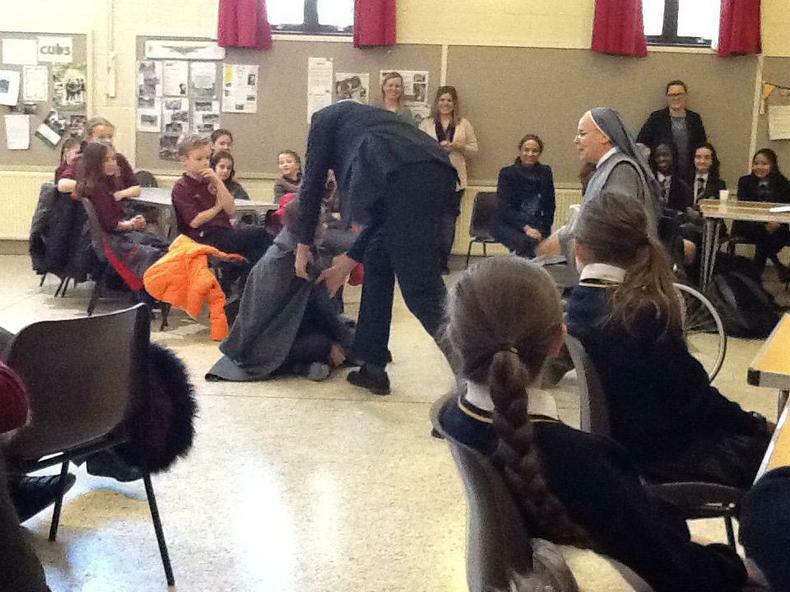 They will also be learning about what happened during the Visitation, when Mary went to visit her cousin Elizabeth. Year 4: the children will learn that Jesus had ancestors and these ancestors help us understand God's plan. They will also learn that Advent is the beginning of the new church year. Year 5: the children will learn that John the Baptist was an important person in the life and ministry of Jesus and that Advent is a season in which we need to think about how we can change to become better people. Year 6: the children will learn key prayers of the Advent season and read parables to learn about the second coming of Christ. This short unit is taught when we return to school after the Christmas holidays which is still during the Christmas season. Reception:the children will have learned carols before Christmas but will continue to learn relevant carols to celebrate the birth of Jesus. They will learn that Jesus was a special baby and that we give thanks for his birth. Year 1: the children will learn about the story of the Annunciation and who Mary is. They will begin to know why Jesus was a special baby. Year 2: the children will learn about the visitors who came to the stable when Jesus was born and they will explore the gifts the wise men brought him. Year 3: the children will be exploring the role of the shepherds in the Christmas story and how they symbolise the fact that Jesus came for all mankind. They will also be learning about St Francis of Assisi. Year 4: the children will be looking at the way Christmas is celebrated throughout the church and will be identifying ways in which we are called to be messengers of the Good News today. Year 5: the children will be examining what charities do during this season to help those in need and will be identifying ways in which the followers of Jesus are called to give witness to his teaching. Year 6: the children will explore the impact of the birth of Christ on figures such as Herod and the three wise men. They will examine the prologue of St John's gospel and explore the term 'the word made flesh'. 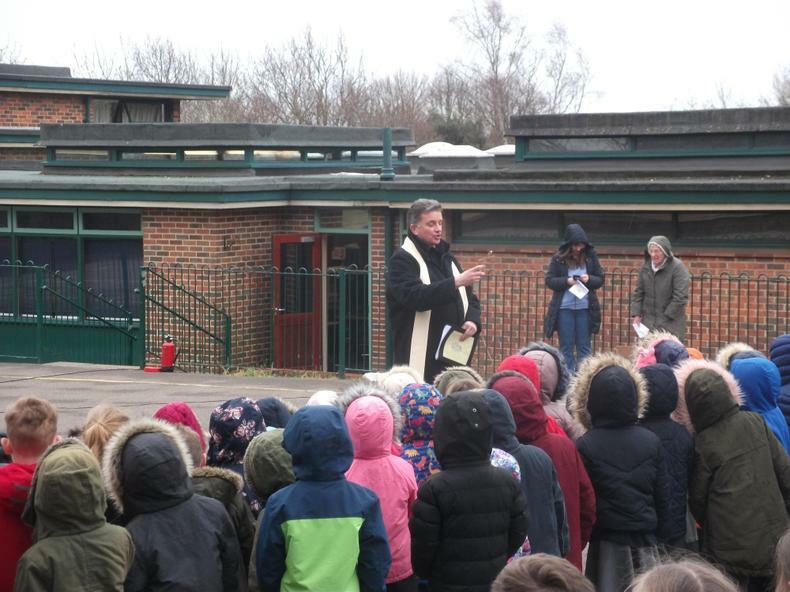 Reception - introduces the role of the church in getting to getting to know God and will be joining in discussions about why Jesus is special and think about what this tells us about God. 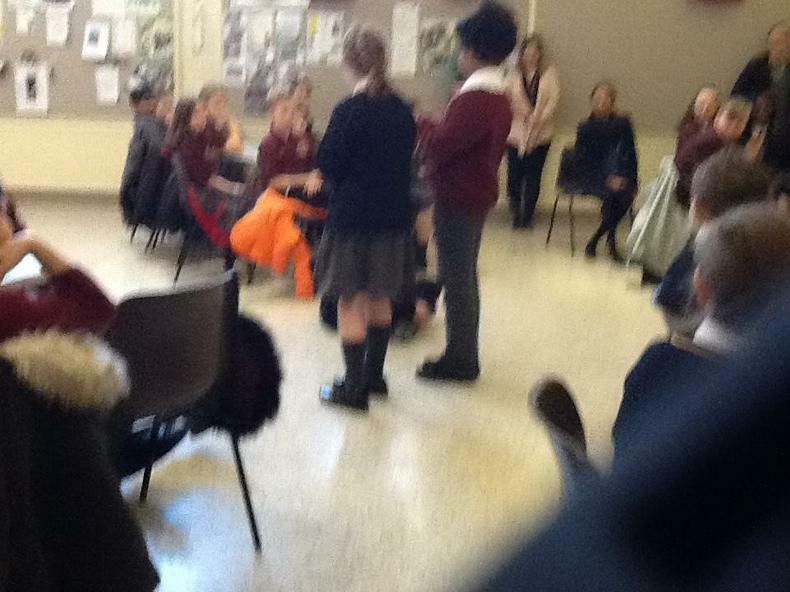 In this unit the pupils are introduced to stories that show how special Jesus is. They begin to explore, through the story of the Good Samaritan, what God’s love is like. The pupils are also introduced to miracles stories, which show how important Jesus is and to the idea of signs and symbols. This unit helps the pupils become aware of stories from Scripture, which show how special Jesus is. The miracle stories show that the Kingdom of God is present within him. 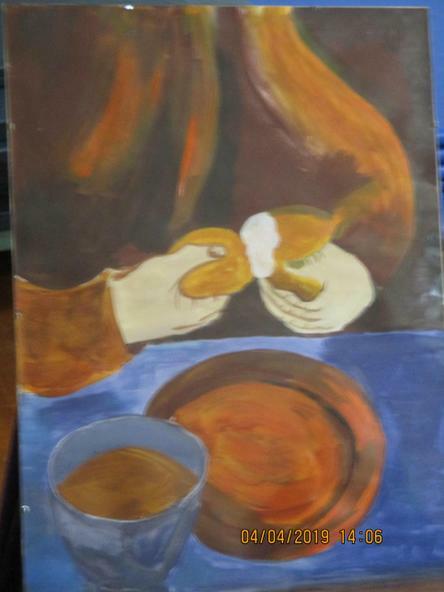 The unit enables the pupils to explore the parables and begin to understand some of the meaning behind them. 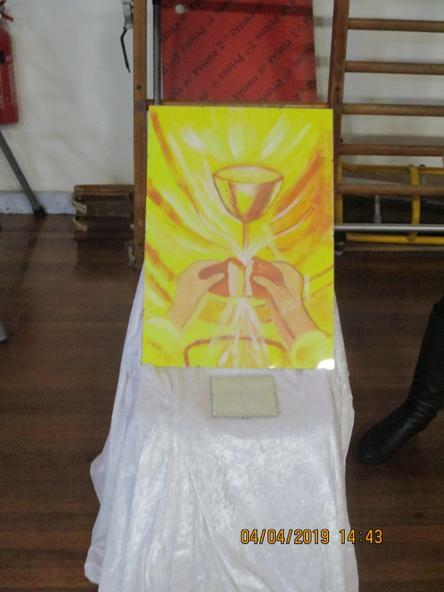 This unit is designed to support pupils in year 3 who may be making their first Holy Communion and begin to understand the parts of the Mass. 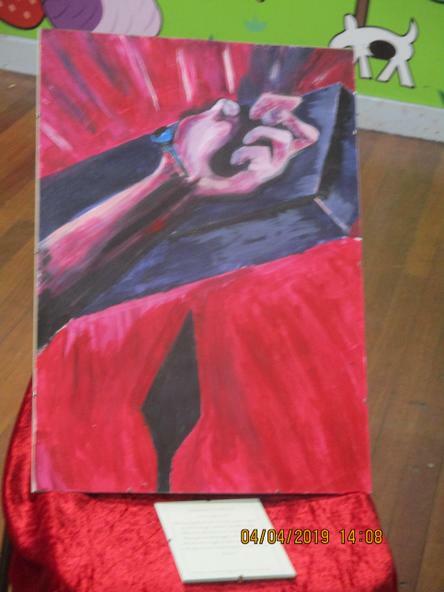 Pupils are invited to explore how Sacred Scripture proclaims ways in which we are saved. It explores the response of Samuel to God’s plan and considers what we can learn from it. Opportunities are provided for pupils to know what the Liturgy of the Word is and what our response should be, as well as broadening their knowledge of what is contained in the Bible. It introduces work on the Presentation and the Baptism of Jesus to enable pupils to begin to explore how people recognised God’s revelation of Himself in Jesus. This unit considers two examples of God’s revelation of Himself in Jesus. In the Presentation, the revelation of God is recognised by Simeon and Anna. 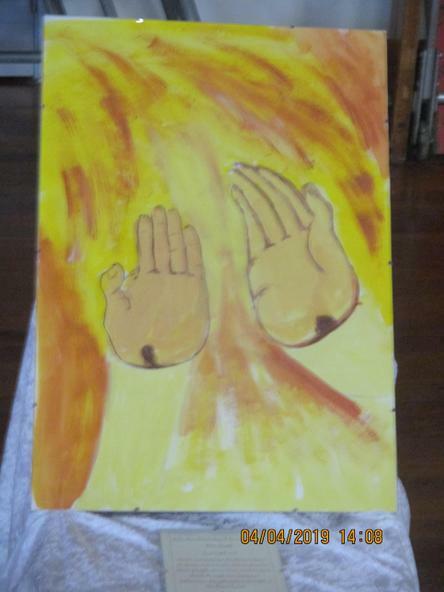 In the Transfiguration, the disciples respond with fear but beheld His glory. Consideration is also given to the symbolism of light and why this symbol is important. This unit considers the recognition of God’s revelation of Himself in Jesus, by John the Baptist. The words; “This is my Son the Beloved, my favour rests on him” can provide a basis for this consideration. The importance of baptism for us is also examined. Study of certain parables assists with our understanding of the Kingdom of God and helps deepen understanding of how the divine revelation is communicated and passed on. Jesus, through his parables, teaches us to recognise God’s Kingdom. This unit examines the conversion of St Paul. The impact of this conversion to himself, on those around him and the Church are considered. There is an invitation to reflect on the deep and personal relationship St Paul enjoyed with Jesus and an opportunity to think how we might learn from him. God reveals Himself and His plan of loving goodness. Pupils are invited to consider how this divine revelation is transmitted. 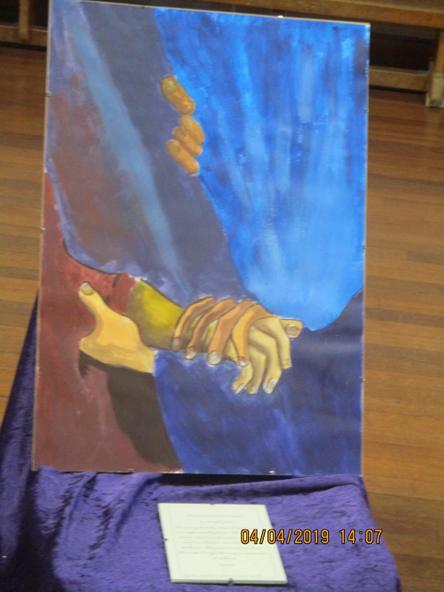 In considering Matthew 28:19-20, pupils will consider what is meant by ‘Apostolic Tradition’. This unit introduces Lent as a time when we get ready for Easter and introduces, through the example and teaching of Jesus, different ways of getting ready. 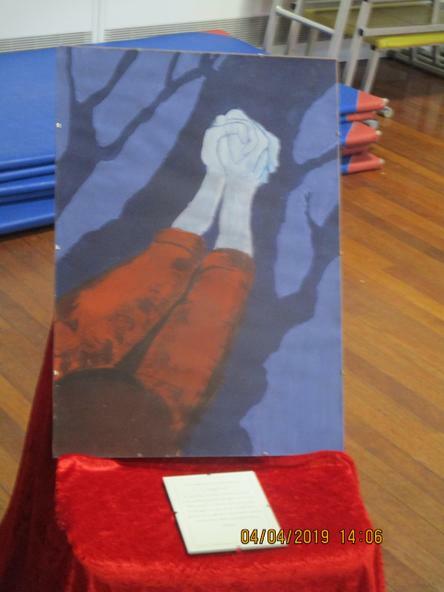 Children will explore and visualise the stories. The children will listen to the following bible stories. 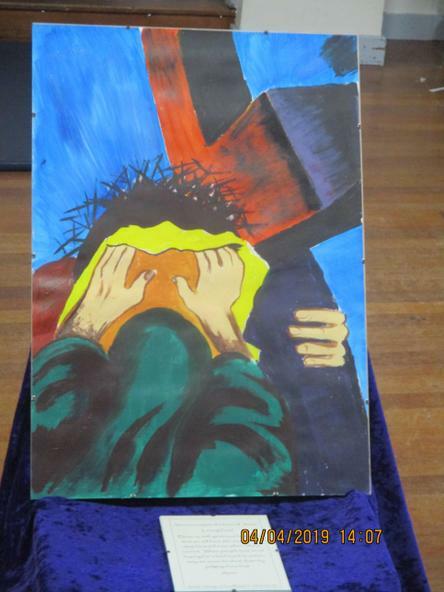 This unit starts to explore the basic meaning of Lent and links it to the life and teachings of Jesus. Opportunities are provided to help pupils understand how they can get ready for Easter by changing. 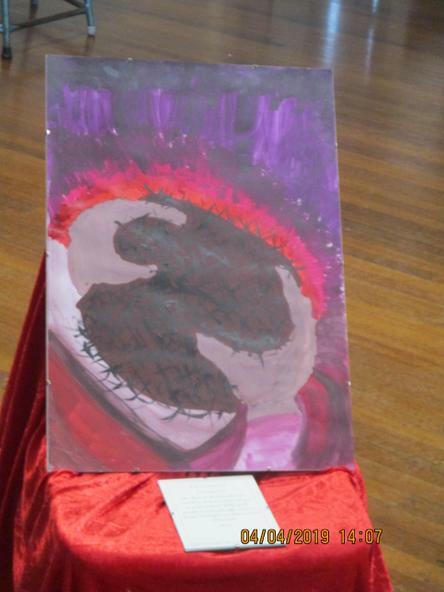 This unit reinforces the understanding of Lent as being preparation for Easter, commencing with Ash Wednesday and being a time of seeking forgiveness and doing penance. The parables of the lost sheep and the unforgiving servant reinforce this teaching. The words of the Our Father help us to consider both the importance of prayer and the relationship between Jesus and the Father. This unit further explores Lent as a time when we prepare for Easter. 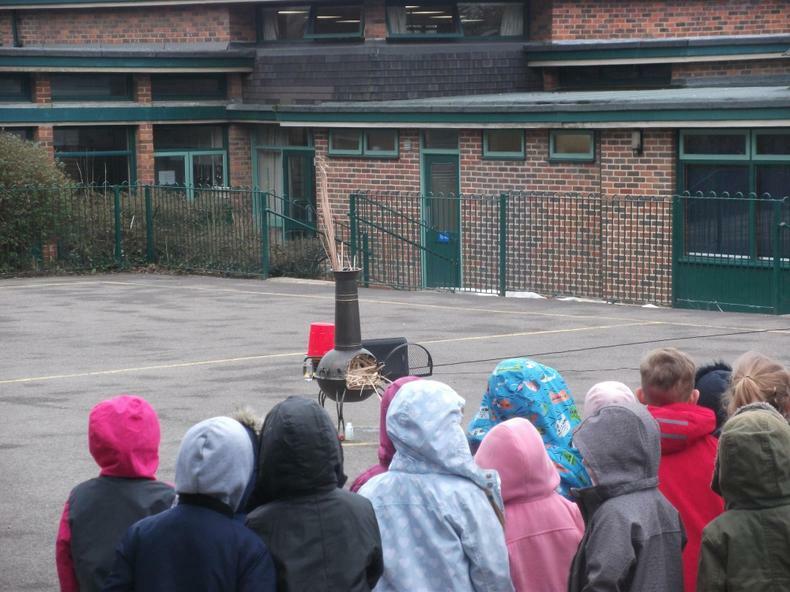 It enables pupils to explore how this preparation involves change. In this unit the previous understanding of forgiveness and penance is built upon, with a focus on the Temptation of Jesus. Pupils are invited to express what they learn from his example. Pupils should be enabled to develop and explore how prayer, fasting, almsgiving and living out the Beatitudes help us prepare for Easter. This unit revises and builds on the work done in year 4 on Lent. 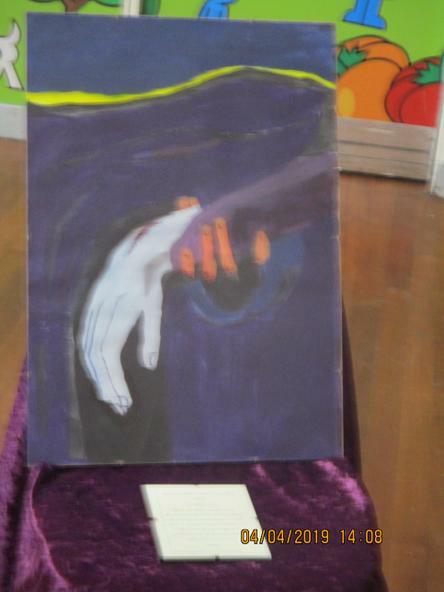 Understanding of the Temptation of Jesus and the symbolism of Lent is revised. Ways in which we prepare for Easter in Lent are explored at a deeper level. Preparation for Easter involves becoming more like Jesus. St Paul provides a quick guide for how this can be achieved. The means by which we prepare for Easter are explored in depth through the teachings of Jesus in the parable of the rich man and Lazarus and the account of the Samaritan woman at the well. It allows for understanding of who Jesus is and whom he calls us to be. The Beatitudes are revised as fulfilment of God’s promise. Reception - children will listen to and act out the story of Pentecost. They will explore the role of a disciple of Jesus. 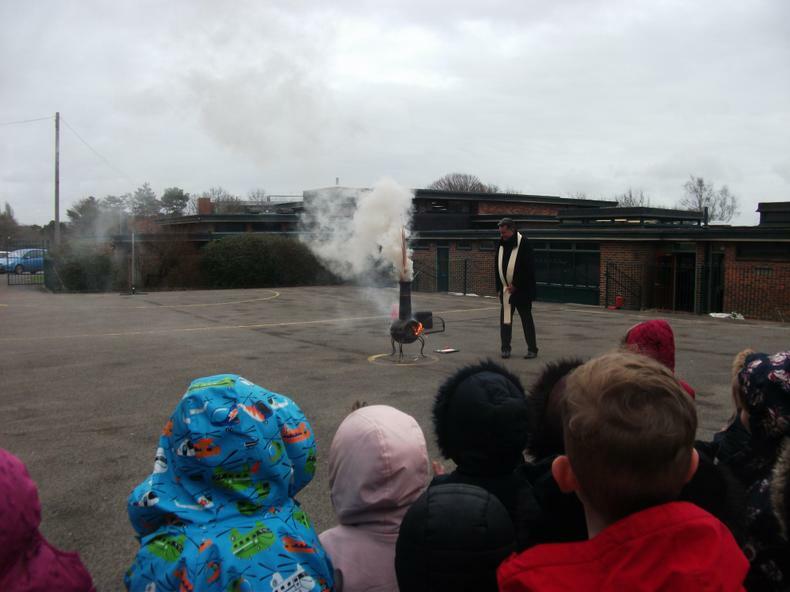 Year 1 - children will learn that the Spirit came at Pentecost and know that it is fifty days after Easter; they will learn the story of Pentecost and learn how it changed the disciples and that they went out and told everyone about the things that Jesus did. Year 3 - children will learn what the word Pentecost means and that it marks the birth of the Christian church. They will learn that St Paul is an example of how the Spirit can transform us and that one of the effects of the Spirit is to bring peace and they will learn how and when the Holy Spirit is present during the Eucharistic Prayer. Year 4 - children will identify how the apostles’ reactions influenced what they did next; they will identify different qualities needed by the saints and us to give witness to the Good News and they will learn about the effect of the Holy Spirit on different people in the Old and New Testaments. Year 5 - children will learn that Church is universal and for all people; they will learn about the key messages for followers of Jesus, as expressed by St Paul and understand our role in building up the Church, and they will learn about the qualities associated with the Holy Spirit. Year 6 - children will learn about the differences between the two New Testament accounts of the coming of the Holy Spirit; they will learn about the seven gifts of the Holy Spirit and that these gifts bear fruit. At St Jude's we encourage the children to listen to, and value, everyone's contributions and opinions even if that opinion differs from their own. This rich discussion gives the children the opportunity to hear a range of responses to the same question and allows them to begin to frame their own ideas on a subject. There is no right or wrong answer to a philosophical question and this can be quite a struggle for some children (and adults) who like to 'know' the answer; however, the learning that takes place in these discussions is very valuable - not just for RE but for a child's enquiring mind.